After Mom's birthday party, Henry and I had a visit from one of my favorite babies: Lucy! 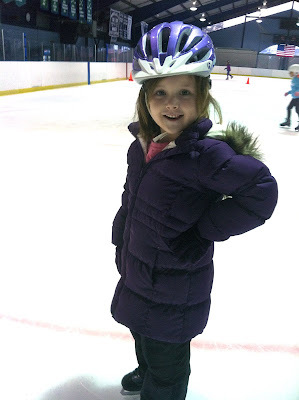 All winter, Mom and I have been going to ice skating lessons at the local rink in town. I've come so far in just a few months! I can glide by myself, play games on the ice and get up after a fall. Mom and I have really enjoyed our Saturday afternoons together on the ice. I think we'll have to try roller skating next!